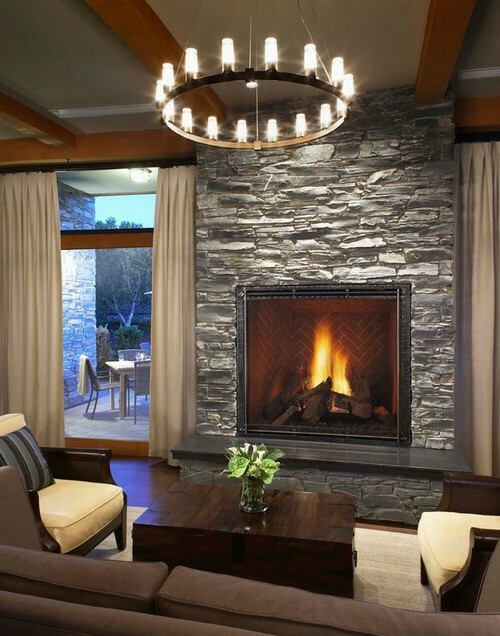 Transform your hearth into a design focal point with these fireplace ideas. With fall just around the corner, it’s time to start getting serious about your home’s interior appeal. After all, bland and outdated decor becomes strikingly obvious when poor weather keeps you indoors. And with winter entertaining just around the corner, you’ll feel much more prepared with an eye-catching hearth guests can gather around. In fact, the transformative power of a new fireplace as a design focal point should not be underestimated. With a fresh coat of paint in an on-trend hue, or a mantel that captures your home’s scaled-down, rustic aesthetic, you can turn your fireplace into a statement piece that really speaks for the room. Here are some simple fireplace ideas for a revamp that will bring your home’s hearth into this century. Texturally, brick is unmatched at capturing that classic, industrial feel in your living room. But bright red just isn’t where the interior design world is at right now. A slightly more subdued statement will tie in your modernist sensibilities, and it’s easy enough to get with a quick whitewashing. To make whitewash stain, just combine two-parts white latex paint with one-part water, and then brush the mixture on. Let it dry fully, and voilà! — a chic fireplace update fit for the hippest Brooklyn brownstone. A new coat of paint is the ace up every DIYer’s sleeve. Grimy, boring, or tired brick surfaces can be utterly transformed by a quick paint job—and when it comes to contemporary colors, it’s all about gray. Gray surfaces have become so popular, in fact, that they’re being hailed as the new neutral, a way to replace our outdated love affair with beige. A painted fireplace is the perfect spot to get some gray in your life—and add a fresh new take on your living room decor. Granted, this treads into the more advanced side of “easy,” but it’s still a lot simpler than you probably would have thought. 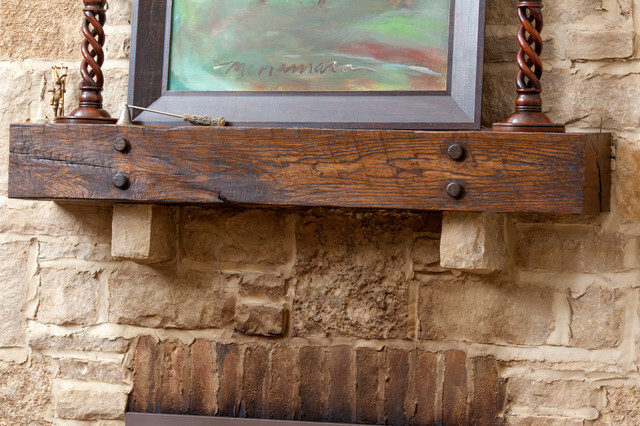 A stone veneer installed over brick imbues your staid fireplace surface with rustic charm. To get the look, you’ll need to construct a scratch coat made of building felt and metal lath laid over your fireplace—that will help the stone adhere to the brick. Next, apply veneer mortar to the surface, allow it to dry, and use more mortar to hold the stones in place. It’s definitely accomplishable in a weekend, but if you’re really short on time, a faux stone veneer panel can get you the same effect without getting out the masonry trowel. You’re probably more than familiar with the classic, wrought iron scroll-edged fireplace screens, and you’ve looked at all the brassy glass covers you care to see. However, these options aren’t the end-all-be-all when it comes to fireplace accessories. Modern screens have fresh accents, like more current patterns, and even curved shapes that will bring your space into the present decade. There’s no swifter way to bring new life to your hearth. These screens appeal in more ways than one, also adding a layer of safety. To learn more about gas fireplace safety and to request a safety barrier screen for your hearth, visit here. Beveled mantels are so old-school. Boxy and rustic wood ledges with wrought iron brackets have a minimalist farmhouse aesthetic that makes them the perfect blend of old world and new. Adding a floating mantel is as simple as drilling a few lead sleeves and lag screws into your brick, then attaching the wood piece with a layer of silicone. It’s especially easy if you purchase a precut mantel that comes ready to install—however, you can also get the same effect using a few 1-by-8 inch planks fashioned into a box shape. You want your space to be homey, not homely. And with ideas this simple, a stylish overhaul can be as easy as one-two-three. For further fireplace inspiration, visit the Heat & Glo Idea Gallery. Winter, do your worst! Erin Vaughan is a blogger, gardener and aspiring homeowner. She currently resides in Austin, Texas where she writes full time for Modernize.com, with the goal of empowering homeowners with the expert guidance and educational tools they need to take on big home projects with confidence.